Having a knowledge of plant names and their backgrounds, pronunciations and meanings can add a whole new level to your career, studies or hobby. 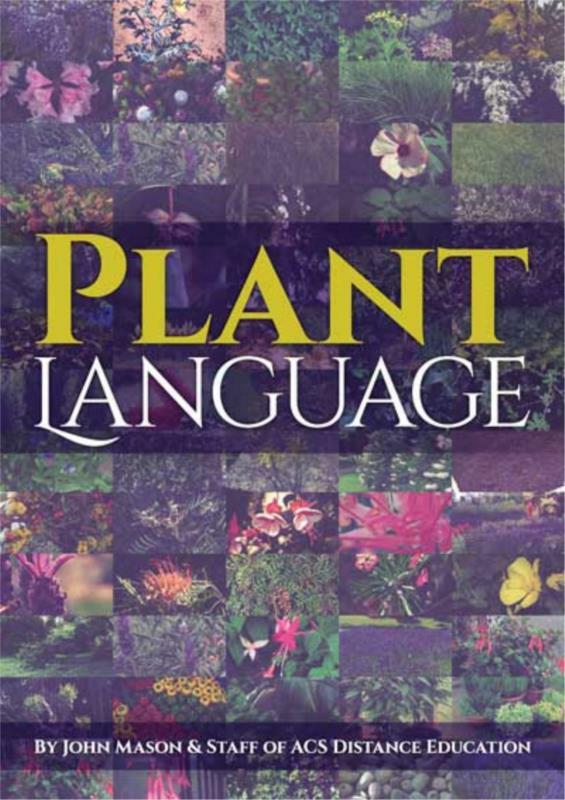 The Plant Language ebook is a great little companion for any horticulture student, professional or enthusiast to get to know more about plants by understanding the names. The most important thing is to learn to write names correctly. If you can write them correctly, then you will be able to communicate with other people in the industry, even if your pronunciation is slightly different. You may know the scientific names of plants- are you saying those correctly? Further, once you know about what the different names of the plants mean, you will be able to identify and understand more about the plant simply by looking at the name of the plant. "While the pronunciation of plant names may vary from place to place, botanical names are Latin and are very precise on matters of grammar. Names of orders and sub orders are based on the stem of the name of a family from that particular order or sub order with the ending “ales” for orders and “ineae” for the sub orders. There are only a few exceptions, e.g. Order Proteales (from family Proteaceae). Usually the names of families, sub families, tribes and sub tribes are formed by adding a specified suffix to the stem." How should you pronounce plant names?